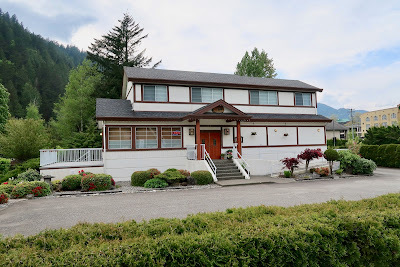 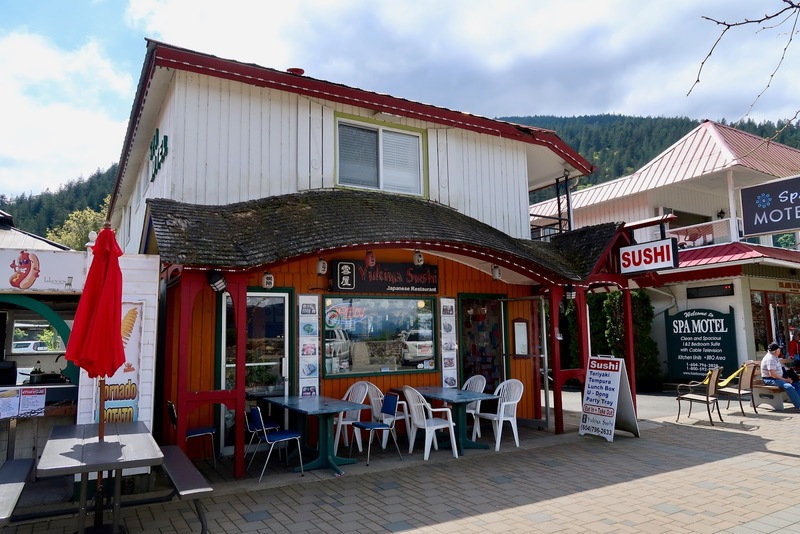 While a four-hour bus ride to the east can take me to Harrison Hot Springs, a four-hour bus ride to the west can take me to Sunshine Coast, a perfect destination when hot weather is in the forecast. 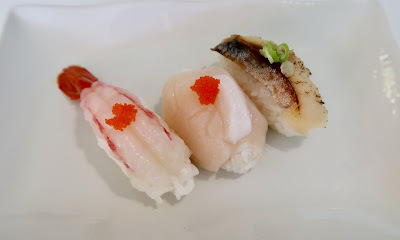 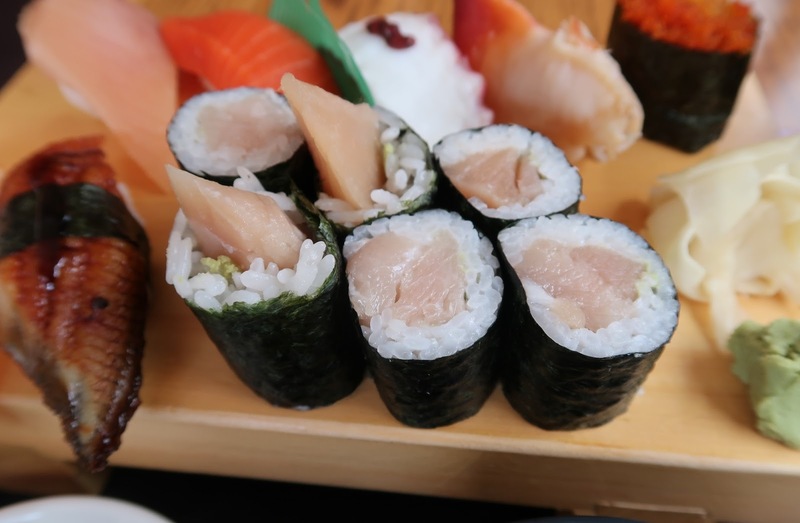 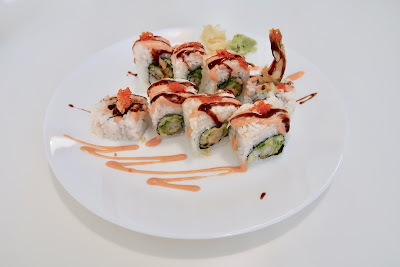 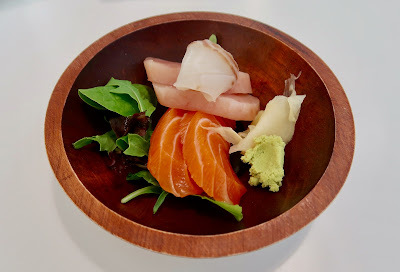 Wanting to save my appetite, I left the house early in the morning without having eaten breakfast, hoping to grab my first bite at Sushi Bar Nagomi. 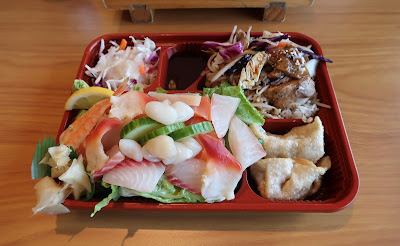 However, a stalled vehicle delaying my ferry by over an hour was not exactly part of my itinerary. By the time the ferry actually departed, I had already explored every nook and cranny of it. 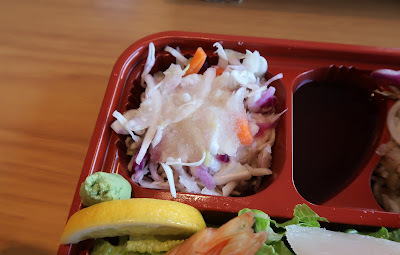 I wasn't that hungry, but I was so bored that I decided to order a Pirate Pak from the White Spot onboard since I had never had one before. Trying to be polite, I actually asked them, "are adults allowed to order Pirate Paks?" Yes, I heard a few chuckles around me, and yes, I resorted to food for entertainment. 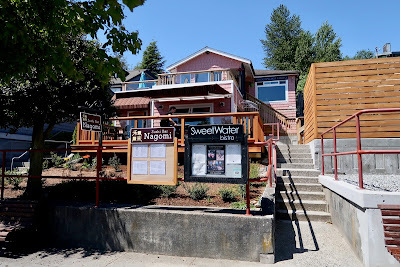 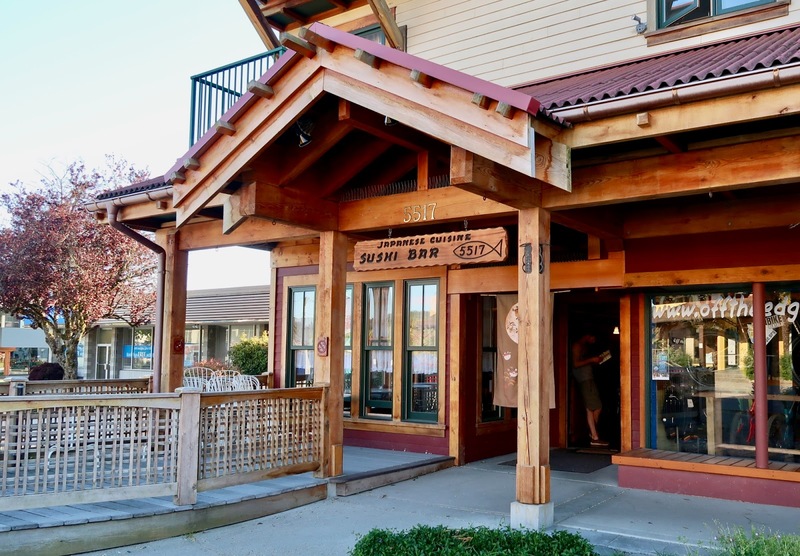 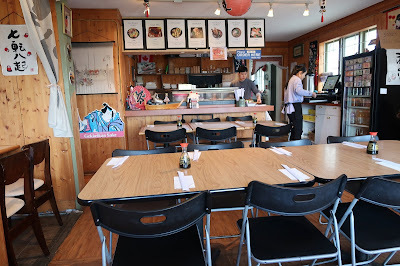 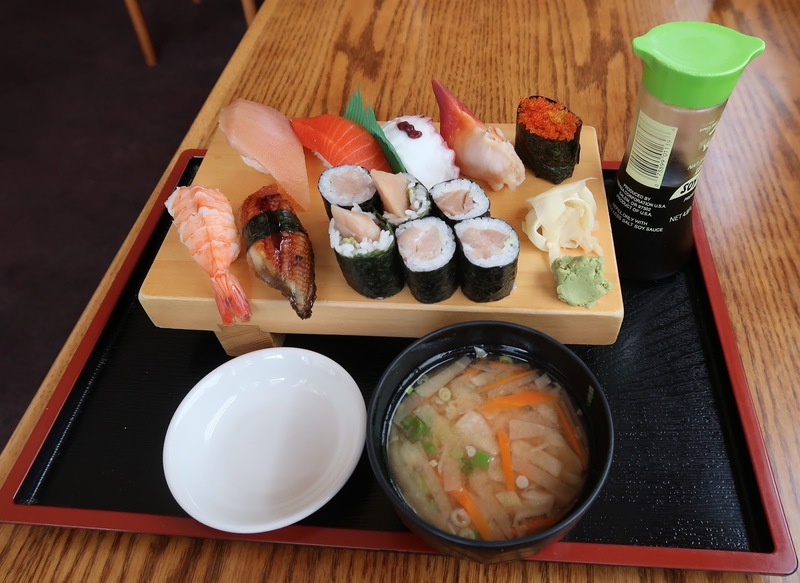 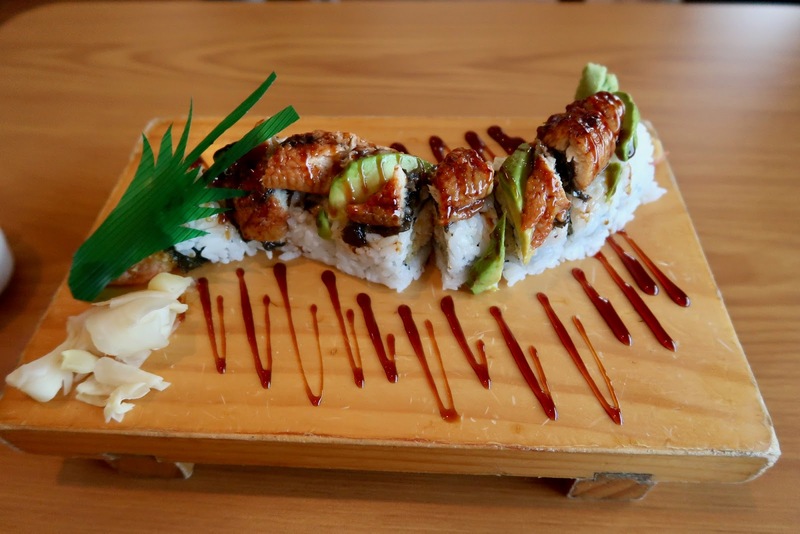 Just over five hours after I left home, I finally arrived at Sushi Bar Nagomi, a quaint sushi restaurant built inside a house in downtown Gibsons. 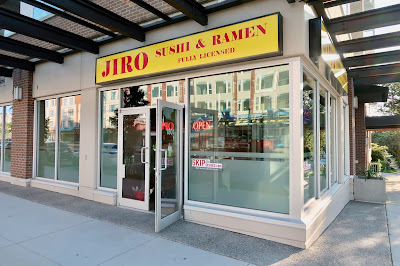 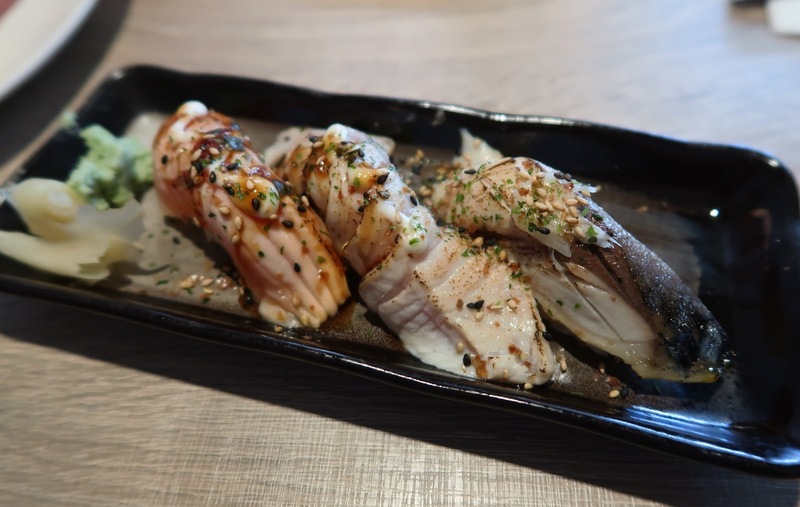 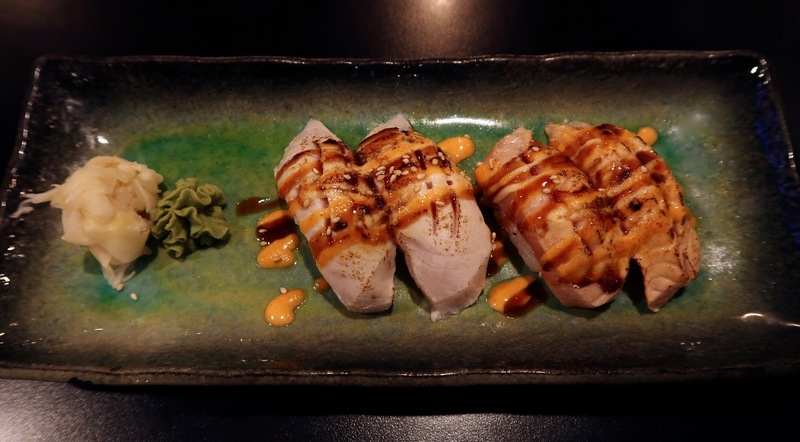 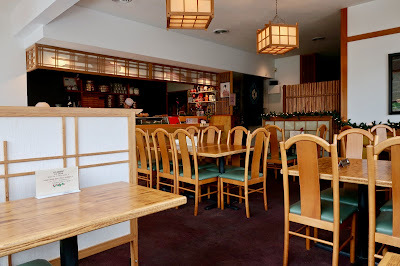 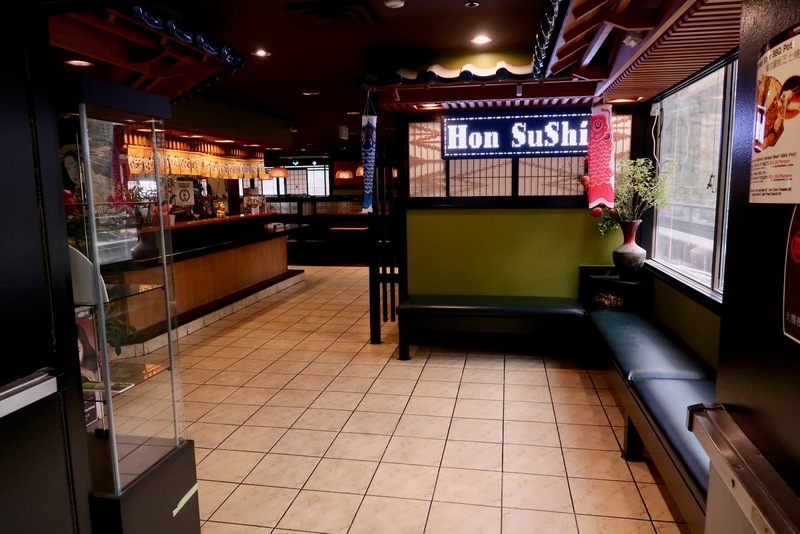 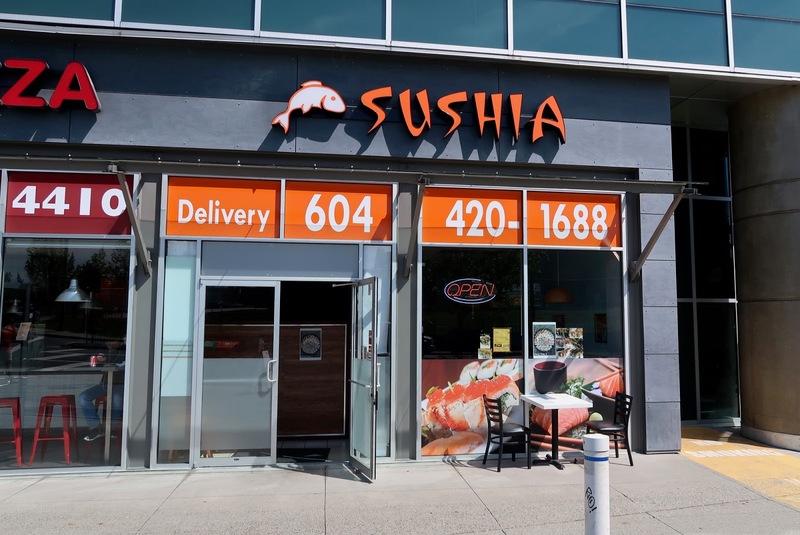 Run by a Japanese chef (Chef Hiro), the restaurant served a mainly traditional Japanese menu with mainly nigiri, sashimi, donburi, teishoku sets, sushi rolls, and appetizers, among other things. 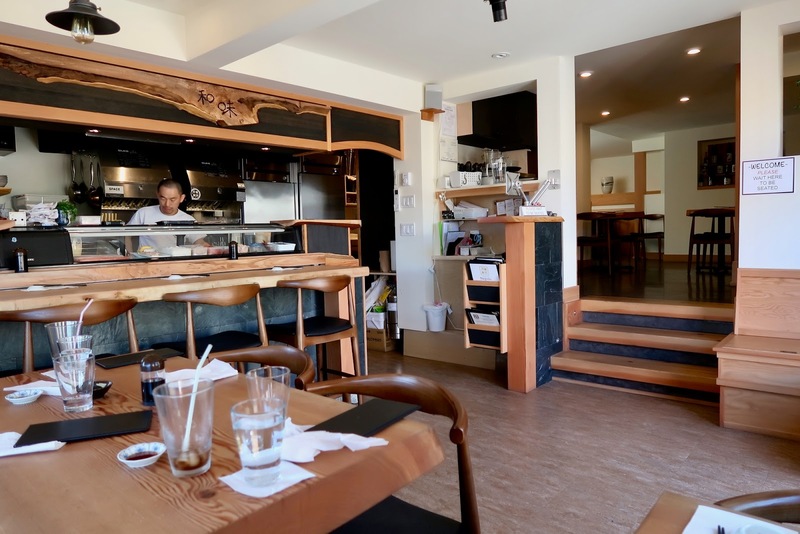 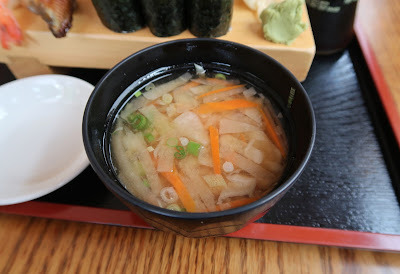 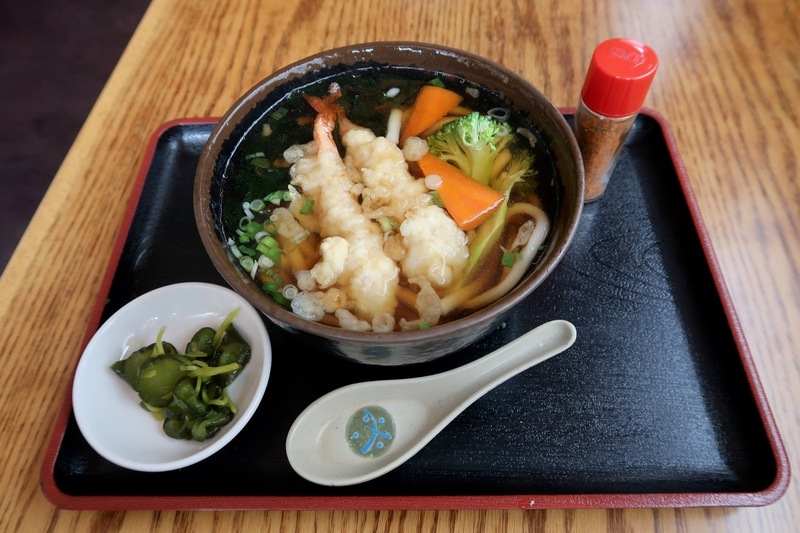 The restaurant's name, Nagomi, has two meanings in Japanese: authentic taste and cozy. 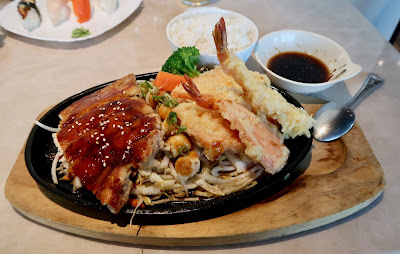 It easily fulfilled both of these. I wanted to take my time at the restaurant, but because of the delayed ferry, I arrived only 45 minutes before they closed at the end of lunch service. 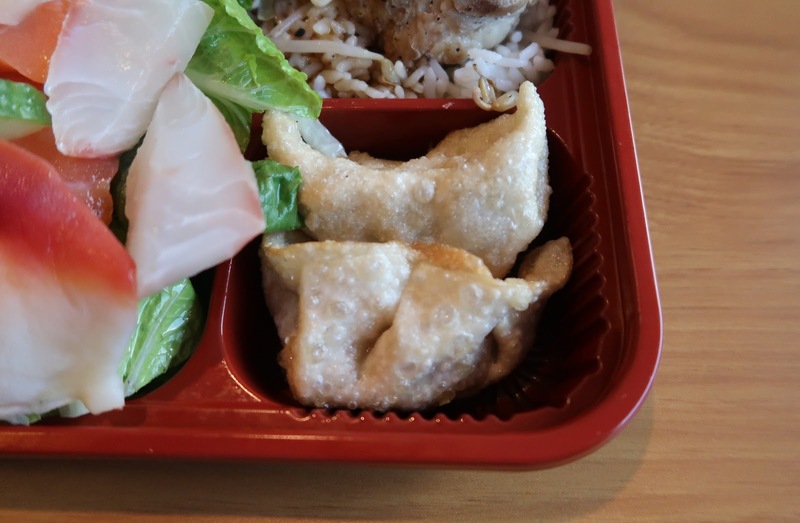 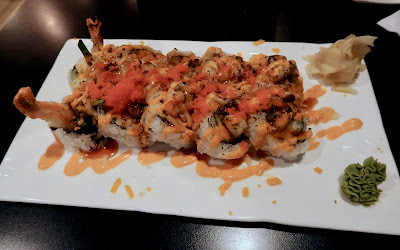 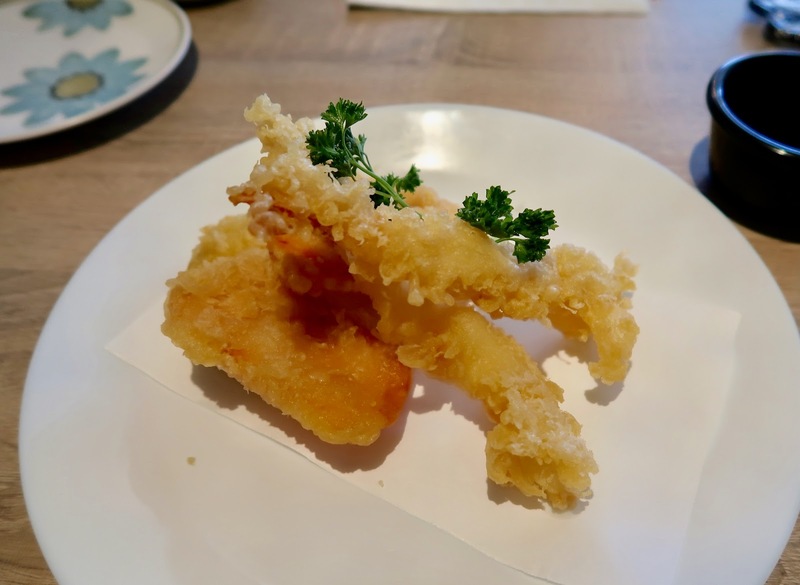 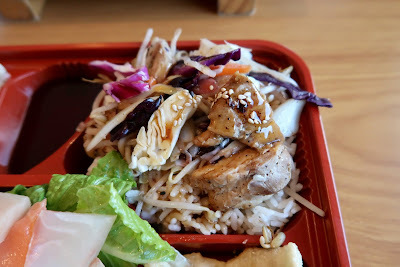 I hastily picked a few things from the menu and made sure not to order so much that I'd be keeping the staff behind due to my slow eating and blogging process. The Sesame Tuna Poke came in a surprisingly small portion considering that it was $9.50. However, it was also so surprisingly well-executed that I would have paid double the price for it. 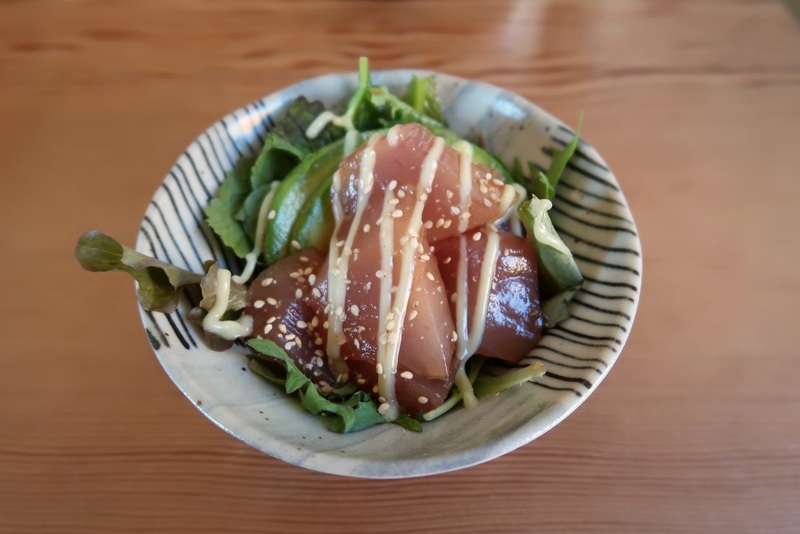 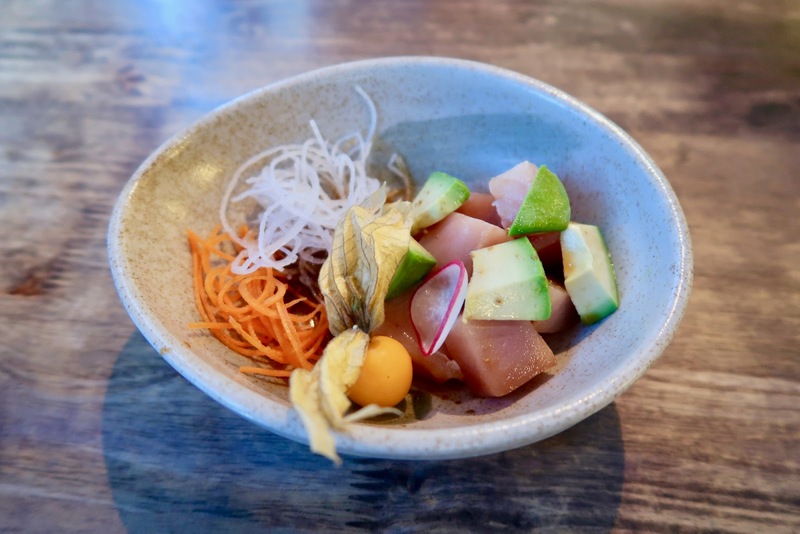 The diced, marinated tuna was extremely fresh and soft, and the wasabi mayonnaise applied in conservative amounts gave it the perfect amount of kick. Complementing the excellent smooth finish of the tuna was a small helping of fresh, creamy avocado. 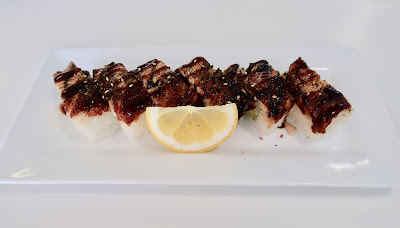 A tangy, refreshing light soy sauce brought all the ingredients together and made this one of the best appetizers I have ever had. 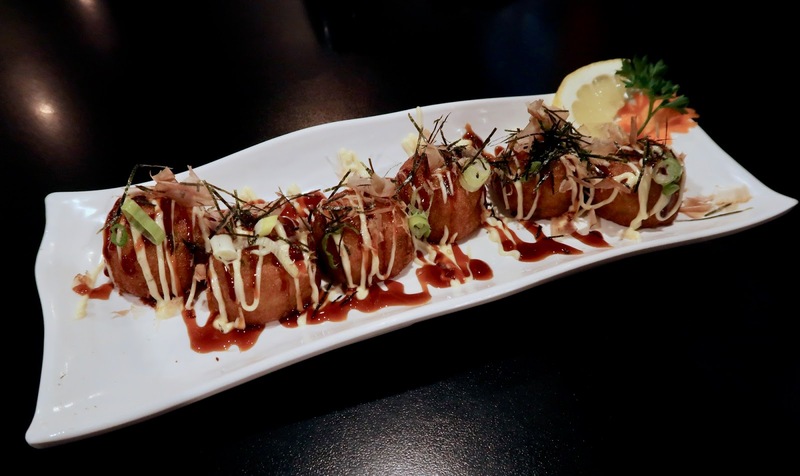 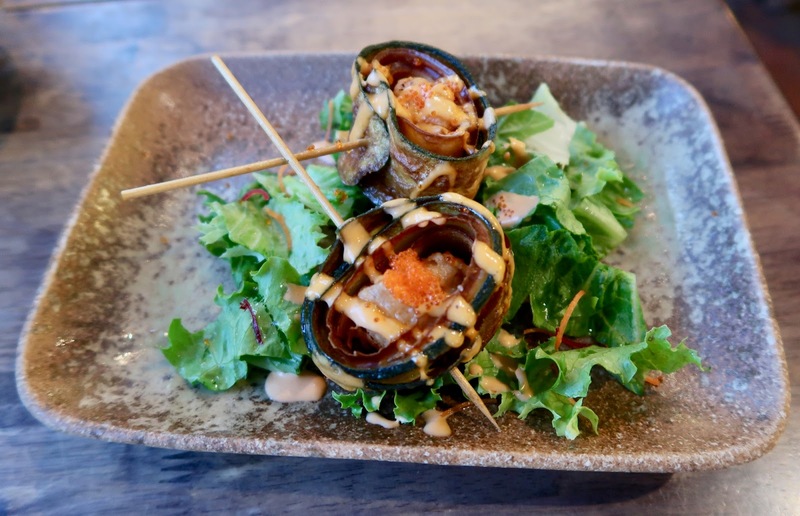 Named after Chef Hiro, the Hiroll consisted of wild salmon, bay scallops, a tempura prawn, avocado and mayonnaise all wrapped in a soy sheet. 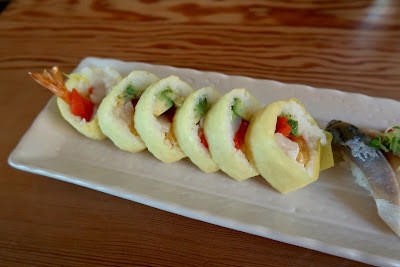 The soy sheet provided an egg-like flavour with a fluffy texture. The ingredients were fresh and were a delight when eaten individually, but flavours were getting lost in the mix. I couldn't actually taste the tempura prawn without taking the roll apart. 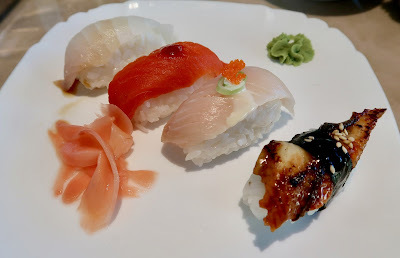 The nigiri, for the most part, beat my expectations. 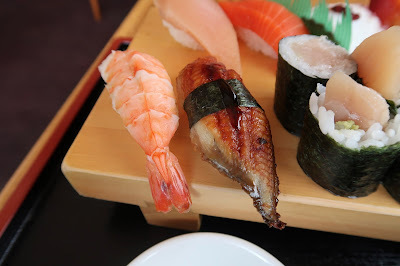 The Saba Nigiri was soft and not too salty, and the rice was well made and flavoured. 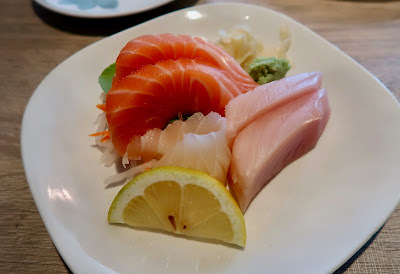 The salmon exhibited some flawed cutting and did not taste as fresh as the other pieces. However, the Toro Nigiri was very creamy and buttery and was soft enough to melt in my mouth. 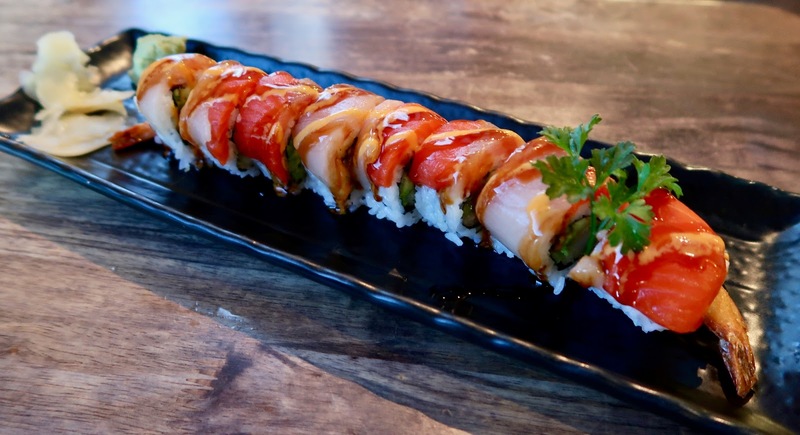 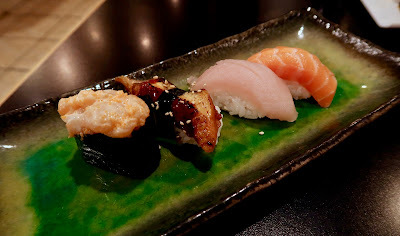 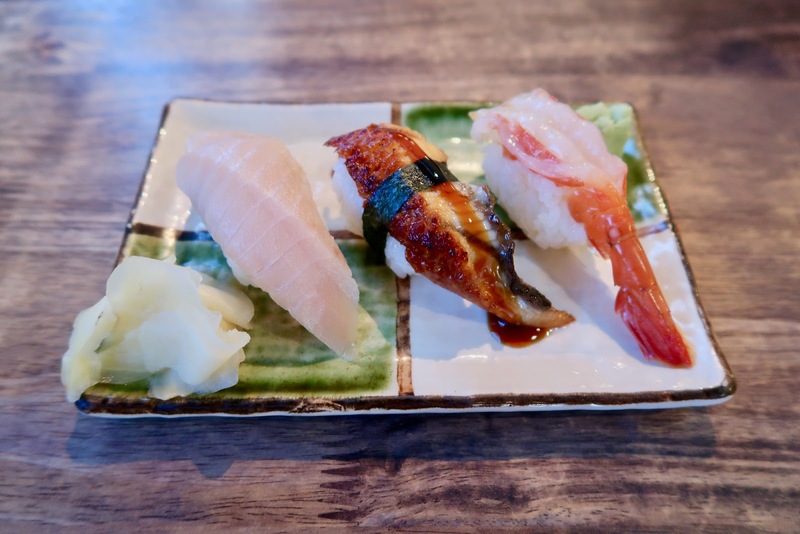 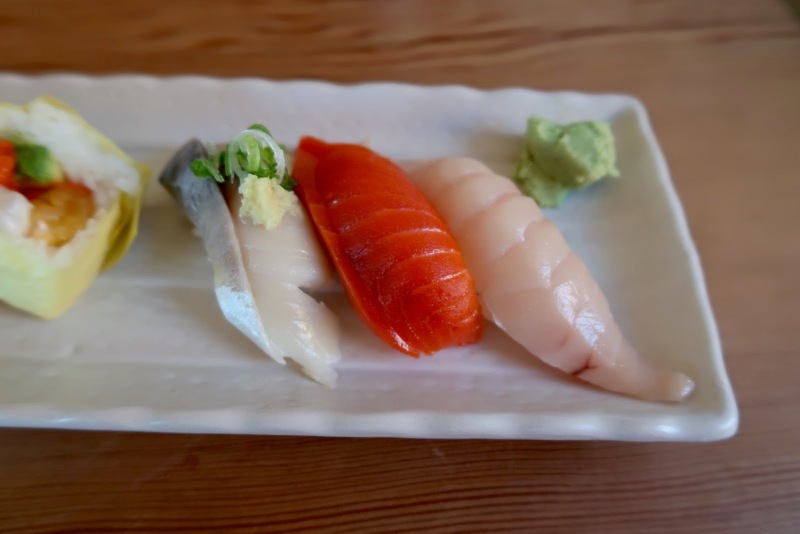 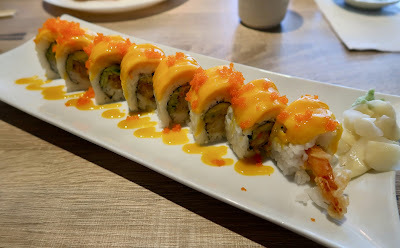 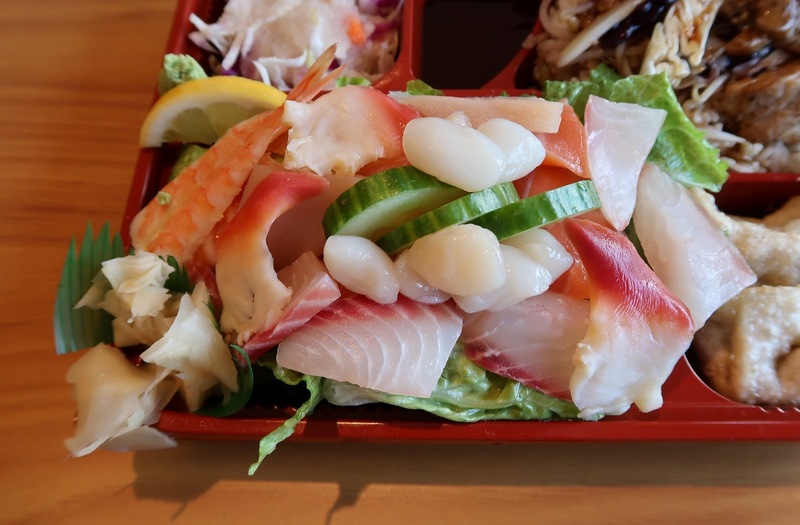 Overall, I highly enjoyed my rather short experience at Sushi Bar Nagomi. 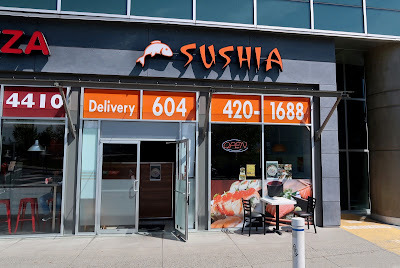 The service was very friendly, and they did their best not to rush me even though it was time for them to close up. 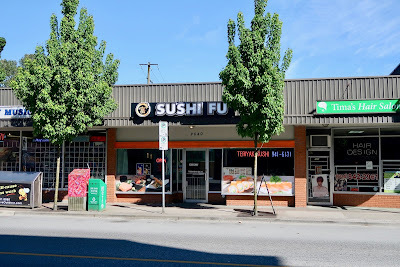 Most of the food was very well-prepared, and Sushi Bar Nagomi stacks up to the authentic places I've been to in Metro Vancouver. I will most likely make a return visit the next time I come to Sunshine Coast to escape the hot weather.